Fortunately, Maurice has taken precautions by installing a caravan into his garage where he and his son Gary will sleep for the duration of the Olympics, thus sparing themselves the risk of travelling back and forth to Basildon in the melée. And if things should descend into a dystopian nightmare, Gary has a Land Rover that he restored which could serve as their escape vehicle in the last resort. “We carried on, all through the war and the bombing,” Maurice assured me confidently, emphasising that he does not intend to let the Olympics interrupt his garage’s record of more that seventy-five years of service. 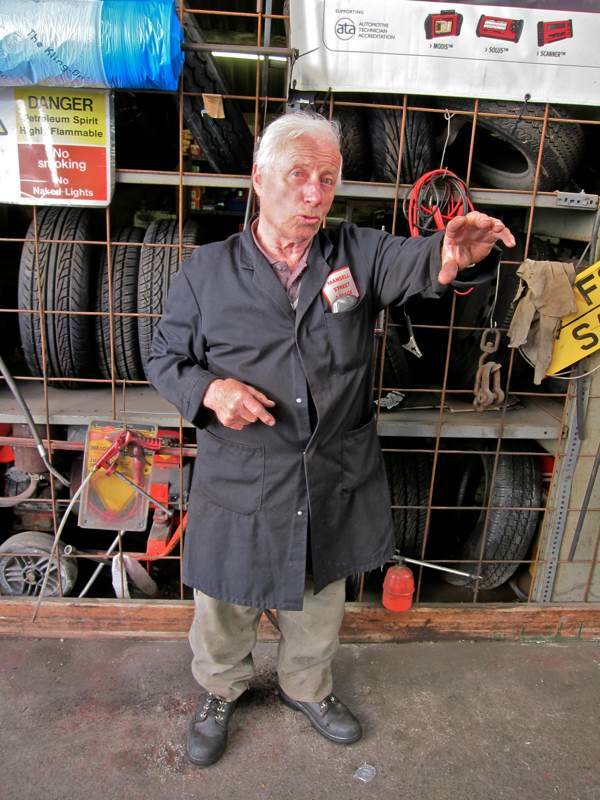 Such a combination of prudence and ingenuity is characteristic of the Courtnell family who run the East End’s oldest garage, started by Maurice’s father, Edward Courtnell, in 1935 in Mansell St. Amidst the fly-by-night world of motor repair, they have acquired such a reputation over the decades for trust and good service that the name of the garage has stuck, even though it moved from Mansell St more than thirty years ago, and no-one thinks it strange at all to find it half a mile from Mansell St in Cannon St Rd. 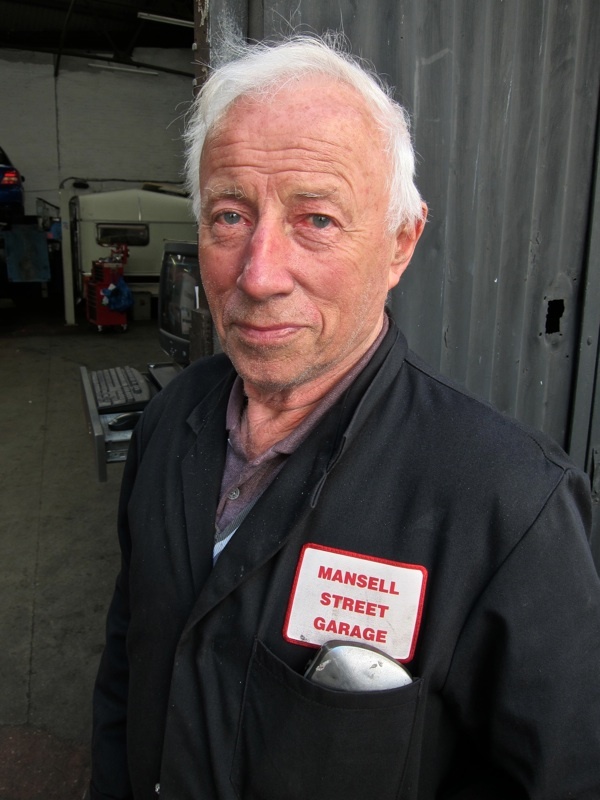 For over half a century, the Mansell St Garage took care of all the police cars for the City of London Police and, now that sufficient years have gone by, Maurice can admit – in discreet tones – that once upon a time the Mansell St Garage also did work for most of the notorious East End gangsters, tuning their motors. You might say that it created a certain equality back in the day, both for the cops and the crooks, when it came to the business of get-away vehicles and car chases. “My grandfather used to make steam engines and he was bare knuckle pugilist who fought in Hackney Wick. My father started the garage after he had been fleet manager for Goldsteins, clothing manufacturers. They gave him the garage in North Tenter St. All through the war, he was in the home guard and continued to run the garage when it was requisitioned for the RAF. He won a medal for shooting given by the City of London Gun Club and he took me down the Blackwall Tunnel and taught me to shoot, and then after the war I became top gun. I was sixteen when I joined the garage in 1949. My brother Terry was a speedway star who competed for Britain in the World Championship and my brother Edward, the eldest son, did bodywork at the garage until he went off on his own. Terry was killed in a car crash in 1956 and is remembered to this day as speedway legend. My two sons work with me today, Terry and Gary. They’re the third generation in the business. 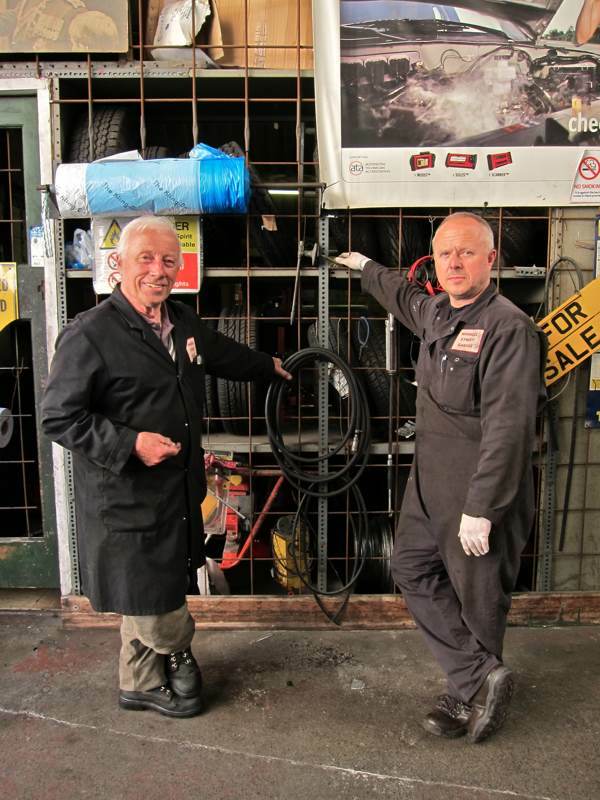 Terry does the bodywork, Gary does electrics and I do MOTs – I’ve been doing them since it started in 1972. It’s a long, long while. I’ve met some lovely people, some very important people. I’ve always done work for the Tower of London and St Paul’s Cathedral and the London Hospital. You take people as you find them. In my life, I’ve seen them all come and go – first the Jewish people, next the Greeks and the Turks, then the Blacks after them, and now the Asians. They’re all good people. Not everyone’s a millionaire. We can repair cars that insurance companies would write off. Anyway life goes by and we get on very well with the Ministry of Transport. They come every three months to keep an eye on things. 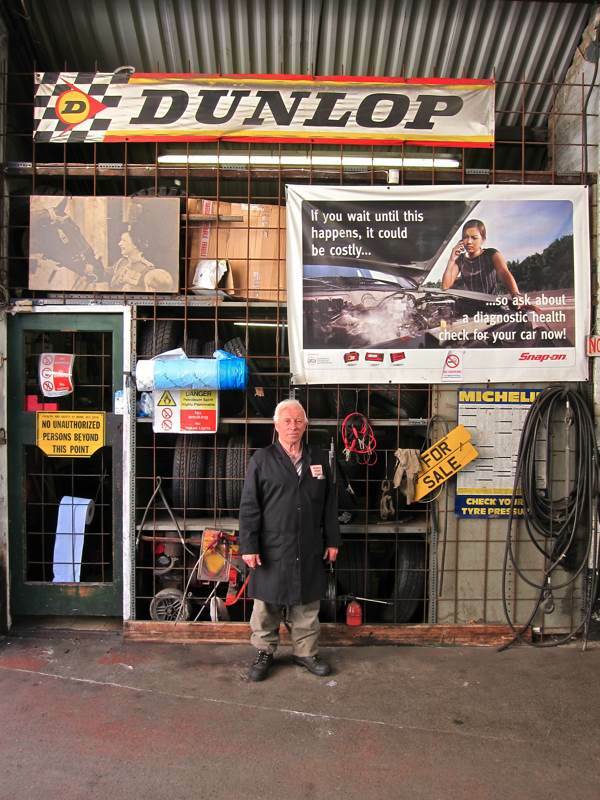 Maurice Courtnell, proprietor of the Mansell St Garage started by his father Edward in 1935. 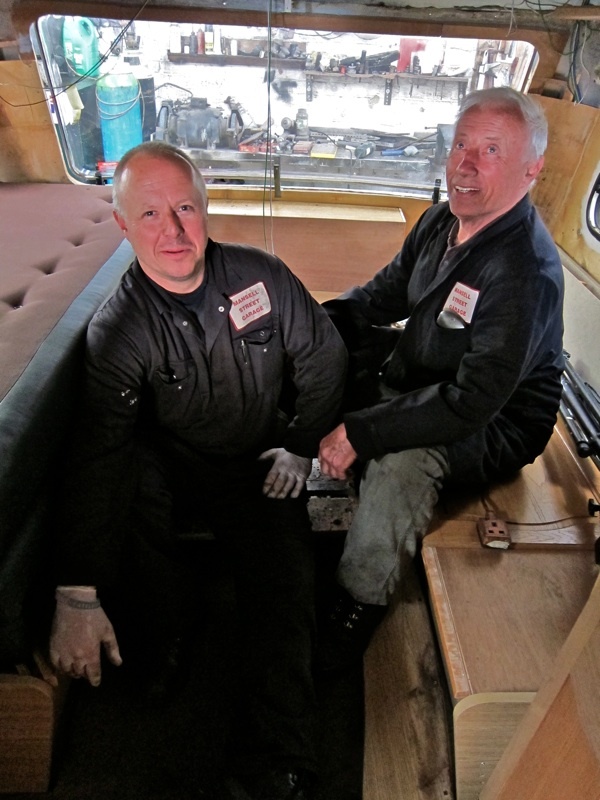 Maurice & Gary in the caravan where they will be sleeping for the period of the Olympics. 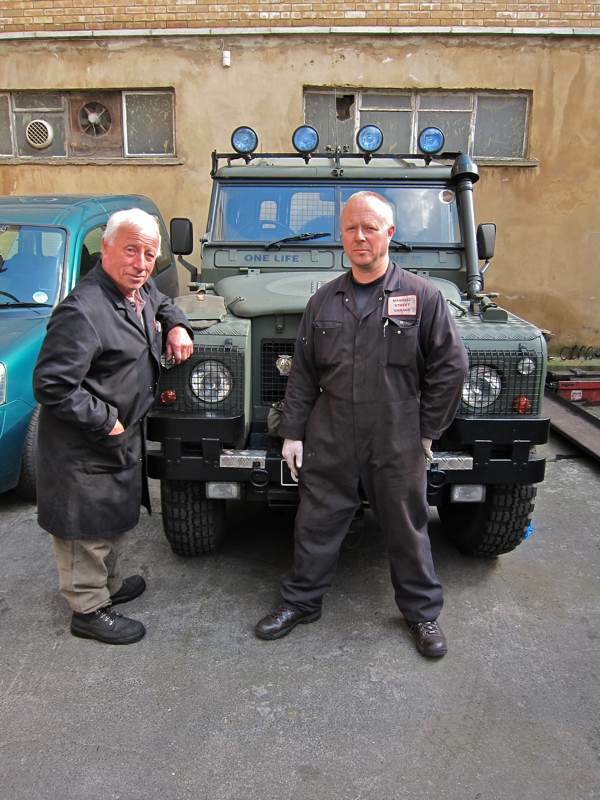 Maurice & Gary with Gary’s Land Rover that he restored himself. 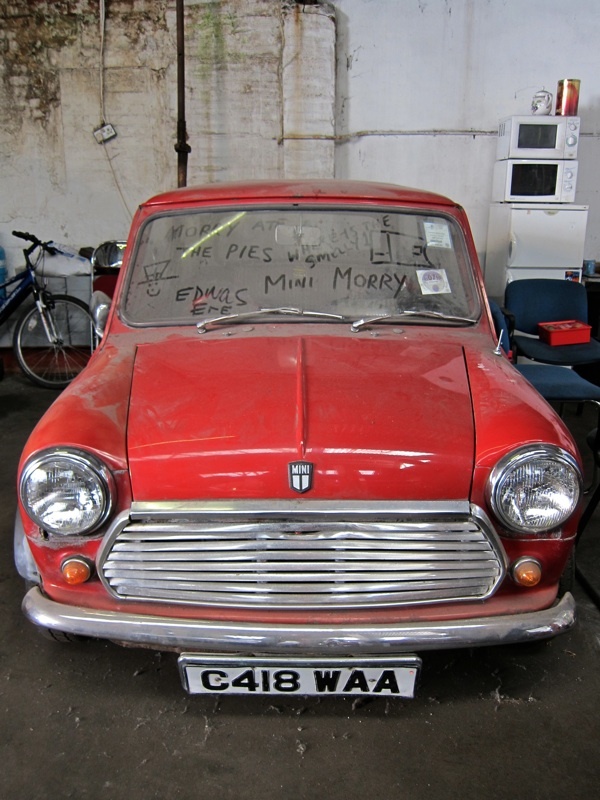 The mini that Maurice plans to have ready for his grandson to drive (currently fifteen years old). The entrance from Cannon St Rd. 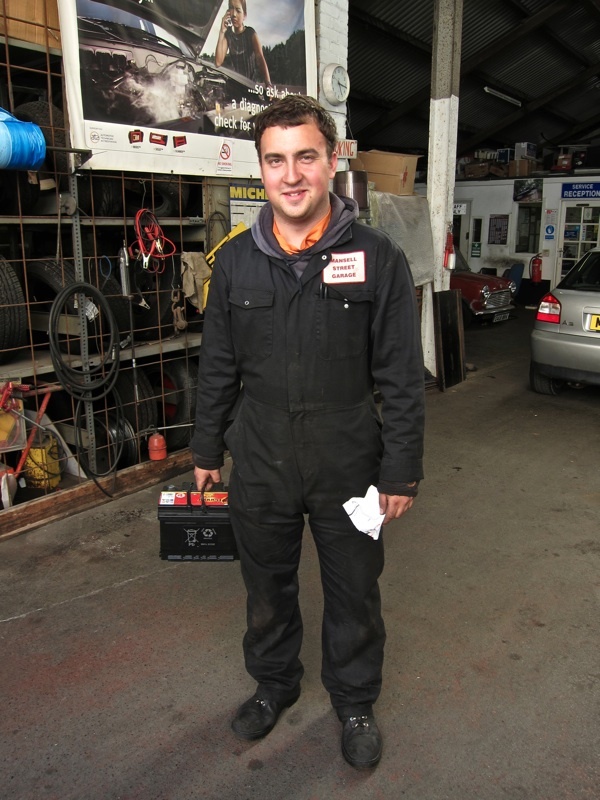 Dean Stringer, striker for Leyton Orient, is proud to work at the Mansell St Garage. Mansell St Garage, 145-147 Cannon St Rd, London E1 2LX. this is wonderful. 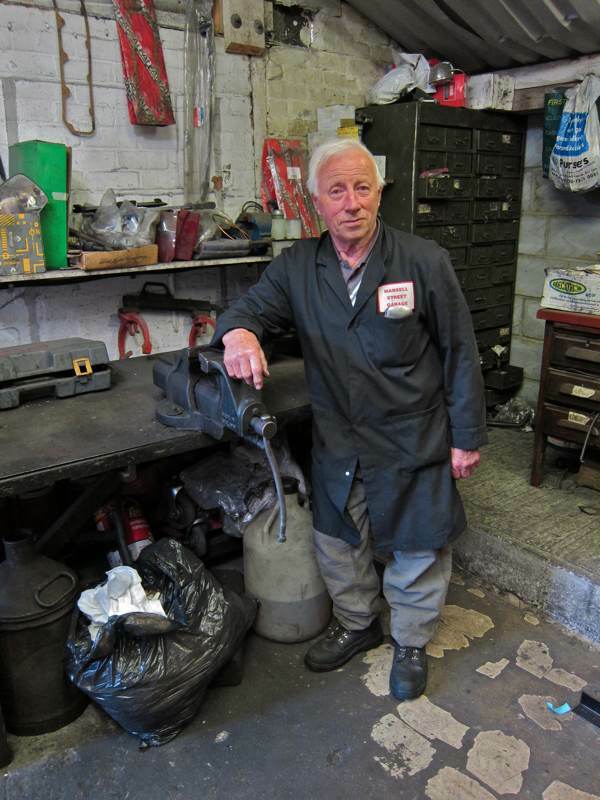 i hope you will return to the garage to bring us an account of the refurbishment of the mini by maurice for his grandson. Maury and I go back some 30 years and he is the brother I never had so I am in the unique position to say what I think!!! ” Mo! why didn’t you polish your shoes before the photo shoot? ” Seriously, the Courtnells are dear friends of our family and this brief profile tells only a tiny part of their lives and their business – they are all very special people we wish them every good fortune. Mansell Street Garage used to do work for a fleet management company that I used to work for. I used to speak to Gary, Murray and Terry on the phone almost everyday. It’s so good to put a face to a name by reading this article. 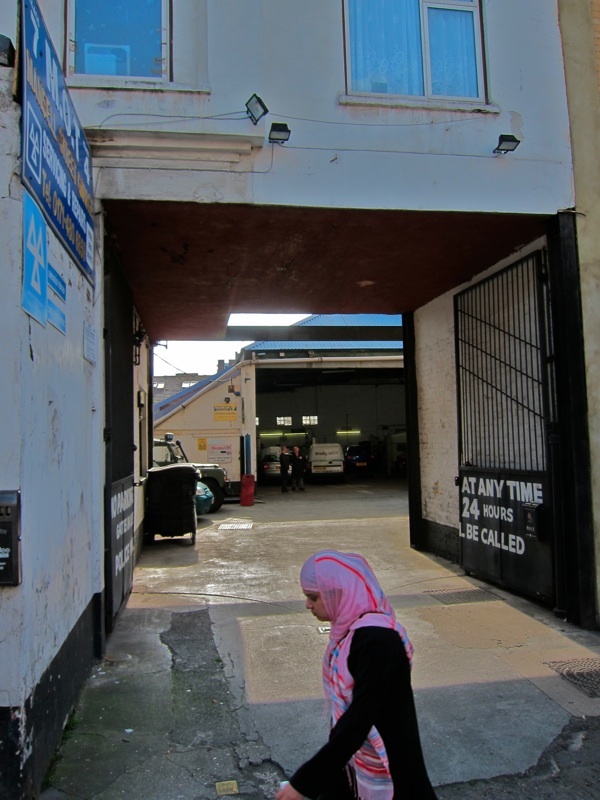 It was one of only a few garages that I looked forward to calling because they were an absolute pleasure to deal with and regularly brightened my day. As the Gentle Author kindly pointed out, this was the WWII Ambulance Station seen in Rose Henriques’ paintings, The New Driver, and also Watching the Turn Out, both now on exhibition at Tower Hamlets Archives in Bancroft Road. I do hope the Courtnells get time to see the paintings of their splendid garage in wartime use. Brilliant! I agree with Jeanette – can we have an update? Pleeeze? How wonderful to see you on my lap top the first time of using it,hope it wont cause it to crash. great to read about you life in Mansell St. Glad to hear that you are still working,Val, needs the money. real nice family friendly helpful reliable trustworthy all you could want from a garage. I travel out of my way to get this service. Came across this by accident. You may not remember me guys, I used to look after your trainees through Inner London Training. You both look the same, I think it was 20 years ago? I am now retired and live in the Algarve. Best regards to you. Barbara Pinto. These guys are the best !! They’ve looked after me & my cars for a very long time. Always an entertainment & utterly thoughtful, kind & reliable. Hi Mauri I said I would retire before you & hoped you would look after any of my old customers who wanted as good a service as we gave them,! Looks like youve done just that, so unfortunately thers no way you can retire now !! !